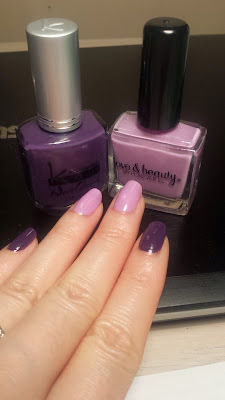 Cute purple manicure perfect for Valentines Day (or any day, 'coz why not?)! 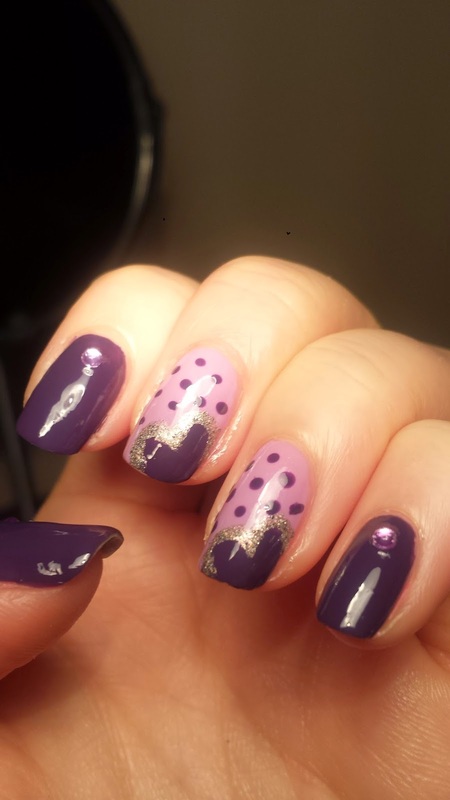 I went for the middle and ring finger only for the heart design because it would be a little too busy if I did it on all the nails. 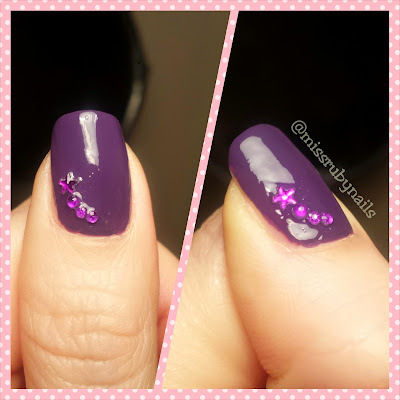 After waiting for the light purple polish to be complete dry, I painted the dark purple directly with the brush to create the heart shape. 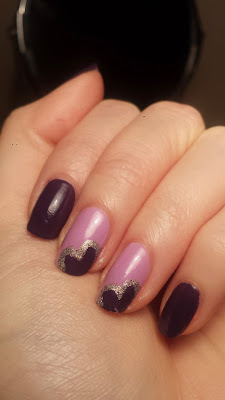 I angled the heart a little off to one side at the corner of the nail instead of a straight up centre heart. 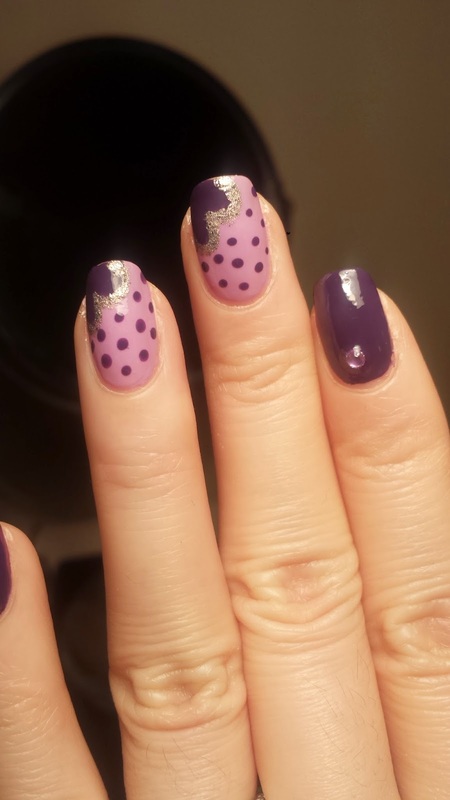 This does not have to be neat as we are going to outline the heart with another polish. Then I picked a lighter color, silver, for the outline. 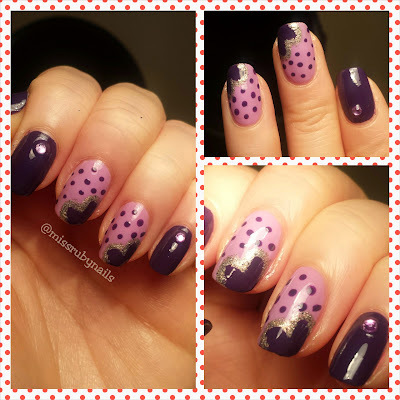 Then I just added some tiny polka dots on the rest of the nail to make it extra cute! I also added a purple jewel on the other fingers with the darker purple because I didn't feel like having plain color nails :D On my thumb, I decided to go an extra mile with jewels lined up like a shoot star!